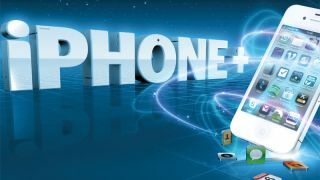 A brand new, out-of-the-box iPhone comes pre-loaded with enough apps to keep you happy for some time. But it won't be long before the draw of the blue App Store icon becomes too much and you delve into the world of third-party apps. There's only so much Apple can do in-house, and the additional apps from external developers allow for innovation that simply wouldn't have come about any other way. Given that the original iPhone didn't even support downloadable apps at all and it took a whole year for the App Store to arrive, it's impressive that there are over half a million apps out there now. The standard apps cover the bases, and they largely do it incredibly well, but that doesn't mean that there isn't room for improvement. Developers love solving problems, and the ones they encounter most often are right in front of them in the standard apps they use every day on their iPhones. They see little niggles, things that if they'd designed the app they'd have done differently, or missing additional features that for them are obvious extras. Thanks to the market for third-party apps, these ideas can become reality, and developers can create a super-charged version of one of the standard apps so everyone can benefit. Since software development isn't a static process, user feedback then lets anyone help shape the next version of the app, bringing more ideas and improvements. The result is a collection of apps that take the standard set of apps as a starting point and push them so much further. Whether you're frustrated with how text messages are handled or you've hit the limit of what you can achieve creatively in the Camera app, here are the best upgrades out there. Each app either adds an extra layer of functionality or ties up some loose ends that were lacking in the original. Whether you've never installed an app before or you spend more time in the App Store than you do talking to your friends, you'll find something here that will upgrade your iPhone. Did you know that Angry Birds-playing, YouTube-streaming, Twitter-scanning, Facebook-posting, mini-computer that you carry around with you at all times can also double as a portable telephone? Shocking, but true. However, you're still at the mercy of the networks as to how much you'll pay per minute to have a conversation. Try calling while abroad and you'll probably need to take out a second mortgage when you get back to cover the roaming charges. The answer is to ditch the voice network entirely and send everything as data over Skype (Free, iPhone; Free, iPad). The scrappy virtual phone start up has existed on PCs and Macs for years, but it's only when it's on a device in the palm of your hand that it truly makes sense. Not only can you instant message, voice call or even video chat with other people sitting in front of computers anywhere in the world, but you can jump right onto their handset as well if they've installed the app. If you've got an all-inclusive data deal, it won't cost you a penny. You can also call phones off the Skype network, but it will cost you extra. Calls to landlines start at 1.6p per minute, but mobiles are considerably higher, at 17.1p per minute. You can also get an online number that your non-Skype savvy friends can ring up and it'll connect them straight to your Skype app. The price for this luxury is £11.50 every three months, or £40.25 a year. The main downside of relying on Skype is that you have to be logged in and leave it running in the background, which eats into your battery life. You'll miss calls wherever you don't have an internet connection, so it's not a complete replacement for your mobile phone. For most things, you need to buy credit up front, and Skype has a sneaky habit of expiring anything you haven't used after 180 days. It's stated in the terms and conditions, but it's worth bearing in mind. If you don't have an all-inclusive deal, text messages could be the most expensive data you'll ever send. Some networks charge 10p to send a mere 160 characters to another handset, which is pretty close to daylight robbery. The answer, of course, is to disconnect from the SMS network and channel your texts over data instead, where you're much more likely to have a bigger bundle to play with. A few words of text here and there will barely scratch the surface, making it a much cheaper way to communicate. Apple already lets you text other iPhones for free thanks to iMessage, but if you need to go cross-device, WhatsApp Messenger (69p, iPhone) should be your first choice. It may be missing an apostrophe in its name, but it's so darn useful that you can forgive that. Available on iPhone, Android, BlackBerry, Windows Phone 7 and even Nokia phones, if you have friends without a compatible handset, you really should question why you're friends with them. Where WhatsApp really excels is in its ease of setup - just give the app your mobile phone number and you're done. The advantage of this is that WhatsApp can scan your phone contacts, see who else has the app and conveniently stick them all in one list so you know who you can message straight away. The main downside is that your WhatsApp account is tied to your SIM card and a single handset at any one time - for most people this is fine, but you can't easily switch your account over to another phone temporarily. WhatsApp lets you send pictures, video, audio and your location for free, and you can see when a message has been delivered to the other person's phone, so they can't pretend they never got your message. Perfect. Safari gets you on the web, but there's something a little bit basic about it on the iPhone. It feels like an un-loved app, and apart from the addition of Reader mode in iOS 5, it hasn't really changed much since it shipped on the original iPhone. That springy, swipey, zoomy-in-and-outy way to change tabs may have looked cutting edge in 2007, but it now just feels a bit clunky and slow. You just want new tabs, now. Dolphin Browser (Free, iPhone; Free, iPad) feels like where Apple's mobile browser innovation department snuck off to while Siri was learning how to speak proper. The first thing you get is just quick, plain, simple tabs on the iPhone with no graphical acrobatics. But it doesn't stop there - Dolphin also includes gestures, so you can draw shortcuts instead of delving deep into menus. It's not perfect - you still have to press the gesture button first - but after that just draw what you want. There are pre-defined gestures for actions such as jumping to the top of a page, going back or loading up Google. Once you've mastered those, you can add your own, making it a truly personal browser. The customisation doesn't stop there, either. Taking a nod from the likes of Flipboard, Dolphin has a webzine view. Awful name, but a useful feature. This strips out the clutter from a pre-defined list of news sites, so you can read the articles without all the other stuff getting in the way. You can also create columns for your Facebook and Twitter accounts, letting you quickly skim through updates. Dolphin also has a Desktop Mode switch, in case you find yourself on a mobile site when want the real thing. Turn it on and it'll tell the site that it's a desktop browser so you can surf the full site. If you've got Dolphin installed on both your iPhone and iPad, you can even automatically sync your bookmarks over the internet. It's been an exceptionally long time coming, but this Gmail app (Free, Universal) gives you full control over your account and remembers your log-in details so you only need to enter them once. The native Mail app will let you read your email, yes, but if you live in Gmail, that's not enough. The Gmail app lets you star, archive and label your mail so you can keep on top of the constant flow into your inbox. The icon will show the (sometimes terrifying) number of unread emails you have, and your phone will ding every time a new message arrives, if you so wish. Thankfully, these alerts are all optional and can be managed through the system notification settings, as usual. Obviously, this isn't a complete replacement for the App Store, because you still need it to download the apps, but when it comes to finding great new apps to buy in the first place, AppShopper (Free, Universal) is a must for the bargain hunter, thanks to its live price drop lists. These show you which apps are on offer and those that have just gone from paid to free for a limited time - so you can swoop in and nab them before the promotion is over. If your dream app is still at its normal price, then add it to your wish list and AppShopper will notify you when the price drops. It can even keep track of all the apps you've already got installed, though you need to install a client on your PC or Mac for that. It's a great way to make sure you're getting the best apps. The iPhone camera app does what it's meant to: lets you take photos and videos. But you can achieve results that are worlds better just by picking up two handy extras. Camera+ (69p, Universal) will take your still photography on your iPhone to a whole new level. Firstly, there's exposure control - touch the screen to tell it what you want exposed correctly, so you can ensure your subject is properly lit, not the background. The continuous fill light option lets you leave the flash on while you're composing your shot, removing the mystery of how it will look in the end. There's also a steady-shot function that shoots only when the phone is still, to avoid camera shake. When you've finished snapping, Camera+ has an entire digital dark room, with scene modes for fast one-touch correction and hundreds of filters. FiLMiC Pro (69p, Universal) takes a similar approach for iPhone video capture, giving you professional-level features for serious filmmaking. The two on-screen reticles let you pick the focus and exposure points separately. Once you've got your exposure and focus set, you can then lock them off, like on a professional camera, so they won't change during recording. An audio meter lets you check your sound levels at a glance, and you can bump up the recording quality and fine tune the framerate. Once you've finished shooting, you can share your footage online, or send it for editing. The Photos app lets you access your snaps quickly and easily, but sometimes it's all a little too easy for others to access every photo you've taken as well. If you've got any special shots that you'd rather keep away from prying eyes, PhotoFolders (£1.49, iPhone) lets you lock any of your photos up safely. First import anything you'd rather keep private into the app, then delete the original images from your Camera Roll. Once they're in the app, you can organise your photos into folders and then either lock the folders to stop them being opened, or completely hide them from view for added security. Choose a password and then click the padlock icon. Once the app is locked down, no one without the password will be able to access your images. There's also an export function, so you can get your digital photos out again, either straight back to the Camera Roll or emailed to an address of your choosing.